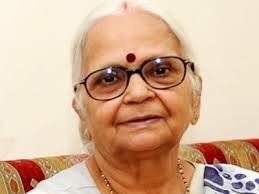 Governor Mridula Sinha has already issued an order, appointing Manohar Parrikar as Goa’s new chief minister. However, it is not known whether his resignation as the defence minister has been accepted by the President of India. In the order, Parrikar has been told to prove the majority in the Assembly within 15 days, after he is administered oath of office and secrecy. The swearing-in is likely to take place within couple of days. The order states that Parrikar has been appointed as CM “from today, 12 March”, but not known whether he is no more the defence minister. According to constitutional expert Adv Cleofato Almeida Coutinho, it does not matter. “He cannot take over as the CM until he is sworn in. Governor’s order means he is the CM-designate and Laxmikant Parsekar continues to be the CM till then”, he said. CORRUPT PARTY FALLEN FLAT (CONGRESS).